Gan Yeladim welcomes applications for children between the ages of 6 weeks and five years old. Please contact our Director of Admissions, Wendy Beder, with any questions. Enrollment is open year round for the upcoming 2018-2019 school year however we encourage you to begin the admission process before March 1st. 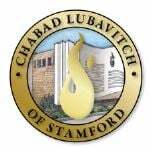 Families interested in scheduling a tour and learning more about Gan Yeladim should contact our Director of Admissions, Wendy Beder, at (203) 324-2223 or by emailing wendy@stamfordchabad.org. Tours are scheduled Monday through Thursday between 9am – 2pm and offer parents an opportunity to see our school in action. During the tour, parents will have the chance to meet and talk with our Director, Leah Shemtov and our Director of Admissions, Wendy Beder. Once all the pertinent application forms have been completed and handed in, you will receive an invoice and all further paperwork required prior to school starting. We look forward to working with you and appreciate your interest in Gan Yeladim.